This book has such great potential – taking 2 Peter to walk through those fears that hold us back in life. Overcoming those fears and hard times is a subject everyone can relate to. Unfortunately, this book just did not “do it” for me. I felt the stories rambled a bit and I had a hard time focusing on the actual topic being discussed. The writing style did not fit my interest, and I just never felt I could relate to this book. I hate giving bad reviews, but I just did not find this book to be something I can recommend. 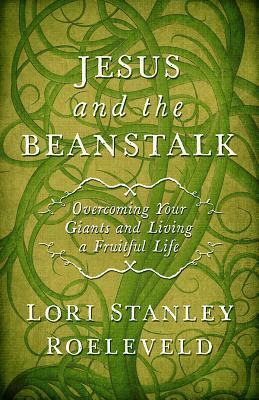 Lori Stanley Roeleveld is a disturber of hobbits who enjoys making comfortable Christians late for dinner. Her new book, Running from a Crazy Man (and other adventures traveling with Jesus) is available wherever fine books are sold. Jesus lover. Blogger. Wife. Mother. Part-time dragon slayer. Not available for children's parties. You’ll find Lori at her website http://www.loriroeleveld.com or on her front porch writing. 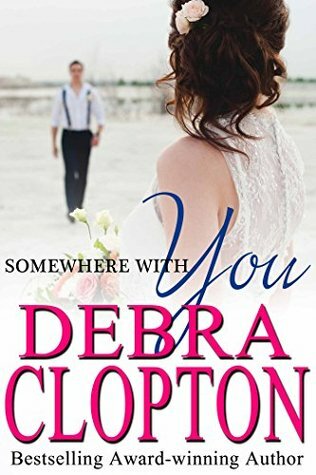 As soon as I finished ‘Somewhere With You’ I HAD to know how Shar and Gage’s story was going to turn out. Luckily we don’t have to wait until the next full novel to find out! 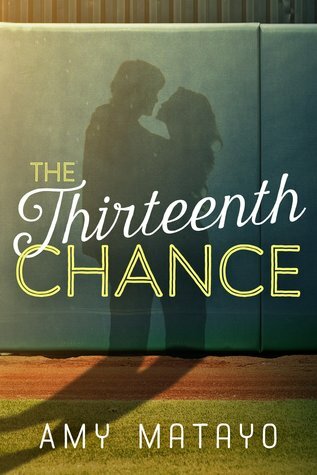 This short story is the perfect way to give us an update on Shar and Gage, and keep us itching for more with the next book. We know Shar and Gage fell madly in love, and this story takes place on their wedding day. In the time that has past since the last book, Gage has been diligently looking for his brother he only recently found out about. 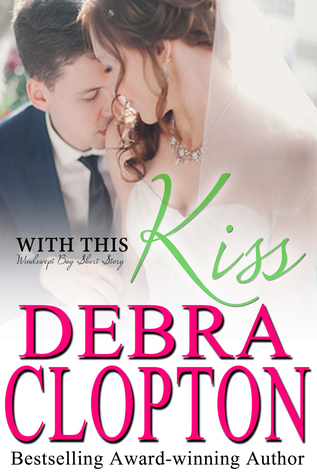 We know Gage loves Shar so much, but his deep desire to find his brother lands him in a mess on his wedding day. As the events of the day unfold, we get to see the true love between Shar and Gage, and their strong desire to spend the rest of their lives together. It has such a sweet ending. We also get a glimpse into the characters who will be featured in the next full-length book. It’s going to be so good! A sixth generation Texan, Debra lives on a ranch in central Texas with her husband Chuck. She loves to travel and spend time with her family. She is the author of the much loved Mule Hollow Matchmakers series where you never know what the Matchmaking "Posse" is going to do next! She's written for Harlequin Love Inspired and Thomas Nelson/Harper Collins Christian and DCP Publishing. She is currently working on her 38th novel surrounded by cows, dogs and even renegade donkey herds that keep her writing authentic and often find their way into her stories. She loves helping people smile with her fun, fast paced stories. Olivia has some serious OCD tendencies that would be borderline annoying if she wasn’t such a loveable character. I loved her innocence in life and the way she is truly happy to be a single woman living life exactly how she wants. She seems to be both uptight and carefree at the same time, and that just makes her all the more appealing to those around her. She seems like someone I could be friends with in real life. Will is so full of himself. He is a star athlete who believes everyone should know who he is and be impressed by him. He has a softer side to him, but it does not come out to late in the book. Will is also impressed by Olivia’s ability to be so happy with her life, but he is convinced there is more to her than what everyone sees. Although I did not like Will as this book began, I found myself really liking him as the story progressed. I think it was fairly obvious early in this book that Olivia and Will were going to form a relationship beyond their simple arrangement. However, watching them get to know each other and go back and forth in their relationship was so entertaining. I was so eager to find out if they would actually end up together or not, and how they would find happiness together. I was so happy with how this book ended, and really wanted the story to keep going. I have my fingers crossed for a follow-up so we can really find out where their relationship landed. Amy Matayo is an award winning author of The Wedding Game, Love Gone Wild, Sway, In Tune With Love, A Painted Summer, and The End of the World. She graduated with barely passing grades from John Brown University with a degree in Journalism. But don't feel sorry for her--she's super proud of that degree and all the ways she hasn't put it to good use. You’ve written about many other true historical couples. What drew you to write about Newton and Polly? The title of the book says, A Novel of Amazing Grace. In what ways does the theme of grace come out in the book? Newton was a prodigal son. He was estranged from his family during his rebellious years, but later made peace with his father. What hope does Newton and Polly offer to parents dealing with children who have left the faith? As a one-time prodigal child now experiencing a rebellious child of my own, I take a great amount of comfort in Newton’s story. First, I revel in the knowledge that God can take our mistakes, turn them around, and use them for His plans and purposes. Second, I take comfort in Newton’s story because it reminds me that no matter how far our children stray into sin or even atheism like Newton, that they are never too far beyond the reach of God. We as parents need to do our job planting seeds, praying, and encouraging our children in what’s right. But ultimately God is the one who woos and wins our children to Himself. From a human perspective, Newton looked hopelessly lost, especially as the years began to pass without any sign of change. But we as parents can find solace in knowing that through all of the pain and heartache, God has not abandoned us or our child. He’s there and His plans are at work, even when we can’t see them. 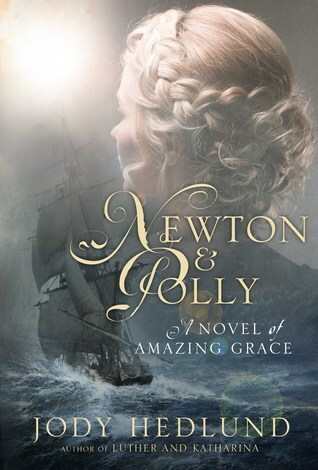 Clearly “grace” is an important theme in Newton and Polly. But what other issues or themes does the book address? 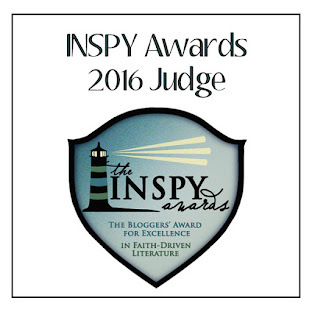 Is there a scripture verse that has inspired you in your writing? Among many, here’s one I aspire to live by: Whatever your hand finds to do, do it with all your might. (Ecc. 9:10) I believe in working responsibly and hard with the gifts we’ve been given for God’s glory. 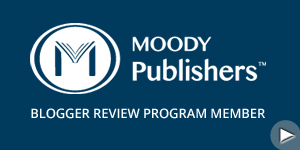 What’s coming up next in your publication schedule? What can readers look forward to? 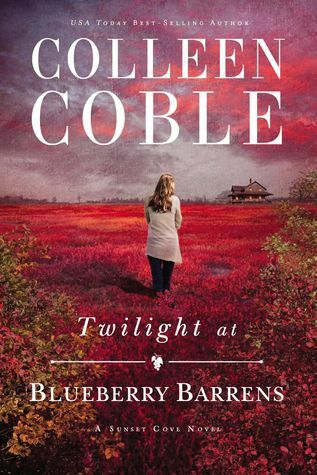 I just love a Colleen Coble book. So much suspense and so much romance come together to create a perfectly entertaining story. In this book, we get to know Kate and the internal struggles she goes through each day following the trauma of her past life. Kate is so unsure of herself and convinced she is incapable of being loved. She believes her life is destined to caring for the dwindling blueberry farm her mother had, and her happiness is not important. We see Kate struggle with love and with being loved. We also get to see her reminded of God's great love for her and for His children. Drake seems like such a great guy. He has taken in his nieces following the death of their parents, and he struggles to raise them the best he can. He also is determined to find the true cause of death of his brother and sister-in-law, and won't stop until he finds the truth. He is bold about his feelings for Kate, and seems like the perfect man to help her recover from her trauma. He is also strong in his faith and uses God's love to get him through some of the most difficult aspects of his life. This book had me on the edge of my seat throughout each page. I loved the suspense of having a stalker and a convicted convict on the loose. I found myself talking to Kate (and maybe double checking the locks on my own doors) as she struggled with knowing she was being watched. I loved the drama leading up to finding the identity of the stalker, and I really loved how this book ended. Put it on your reading list for sure. Sparks fly on the sunset beach and sparkling blue waters of the romantic Windswept Bay as Gage and Shar battle through their attraction. Gage is determined that this is one time he’ll do whatever it takes to get what he wants. But can Shar open her heart to him? Can he convince Shar that love doesn’t mean shackles...but a lifetime shared with the one you love? I always love starting a new series! Although I started this series with the second book, it is still exciting to meet new characters, discover new places, and learn what makes a family tick. Shar is one of those independent women who I fell in love with almost immediately. She is proud to be independent and has a life she loves. She works hard for her family’s business, but would rather spend all her time rescuing her beloved sea turtles. I loved her attitude about life in general, loving every minute and being carefree. Of course, Shar has no desire to fall in love until Gage shows up. Gage has secrets to hide, and secrets he does not even know about. He has come to the island to escape his real life and try to recover from the death of his father. The attraction between Shar and Gage is immediate and it quickly becomes obvious these two characters were made for each other. Their relationship seems to be moving forward so quickly and I loved watching them get to know each other. It is so fun to watch two characters realize just how perfect they are for each other, and then act on those realizations. But secrets, fear, and drama always seem to get in the way, right? As these two characters realize just how much they like each other, their secrets and insecurities begin to remind them of the life they had and the happiness they found before they met each other. We get to see the struggle they go through and the turmoil in their life that does its best to tear them apart. I loved meeting Shar and her family. Although this is a part of a series, this book can easily be read as a stand-alone. But if you are anything like me, you will be on edge waiting for the next books so you can catch up with this family and characters you are going to love. My daughter has been enjoying this series so much, and this book was her favorite of the series so far. I enjoyed the trip to Nashville and the Grand Ole Opry, and had fun reminiscing of my old trip to the Opry many years ago. In this book, the sisters find themselves at odds with their best friends. They have returned from tour and found their friends not that interested in hearing about their summer. To top it all off, the sisters have the opportunity to sing at the Opry and cannot wait to tell their friends all about it. Only their friends do not seem to care. 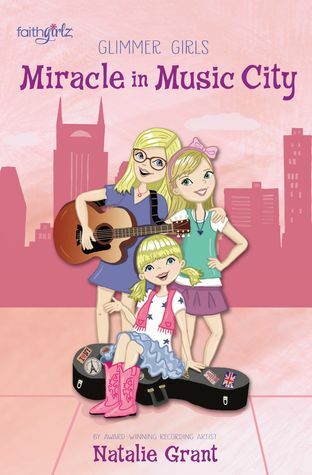 At the Opry, the sisters land themselves in the middle of the mystery disappearance of a valuable guitar. As they begin the search to find the missing piece, they end up in the type of fun antics we have come to expect from the Glimmer sisters. They are so much fun to read about and imagine yourself in their lives. Once again the Glimmer Girls teach us valuable lessons about friendships, caring for others, and holding our friends dear. I thought it was a fun read myself, and I love that my daughter is having so much fun with these books. From the very beginning of this series I have been looking forward to Riley's story, and I believe Denise Hunter saved the best for last. It is no secret Riley has been in love with Paige from the beginning of time. He has sacrificed his entire life to make sure his love for her was kept under wraps and she was able to live her life happy and free. He enlisted in the military to get away from her, and this book begins as he is returning home - an amputee with a dark cloud over his heart. Although Paige has appeared in previous books in this series, we really get to know her in this book. She is such a loving woman with a huge passion for helping others and making sure others are happy. She has been abandoned multiple times in her life and expects everyone to eventually leave her. As her feelings for Riley began to grow, Paige is terrified of how it is going to affect their friendship they have had for so many years. Her fear of abandonment really comes forward as she is working through her true feelings for Riley. It is in that moment when Paige finally listens to God as He reminds her she is always loved and always His that this story really begins to take off. Paige becomes brave and ready to face her fears. Riley also decides it is time to be truthful about his feelings. The result? Read the book to find out, haha! I have loved this series so much and will miss the Callahan brothers. 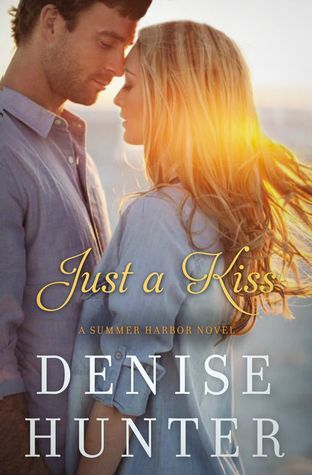 I cannot wait to see what Denise brings us next. I have read so much recently about the effect of toxins in our life, but none of them have really broken down the aspects of gut health quite like this book does. This book takes the subject of gut health and goes into a detailed explanation of how our gut works, the effect toxins has on it, and how a sick gut can affect our entire health. Throughout the book, Suzanne speaks with patients and experts to discuss their history with sick guts and how to remedy the situation and continue with a lifestyle that healthier for the gut and overall health. The stories inspired me to take on healthier shopping habits for our food and continue our quest towards a toxin free home. This book is a great resource for anyone looking to improve their health through the removals of toxins in their life. I know it will be a resource for years to come for my family on our quest to better health. 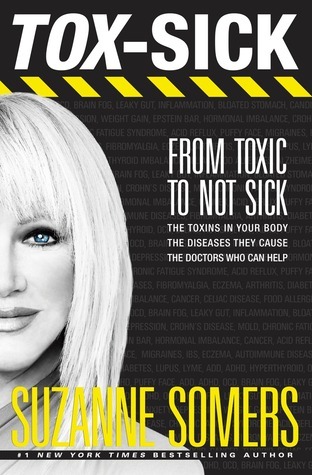 Suzanne Somers is an American actress, author, and businesswoman. Best known for her role as the ditzy blonde Chrissy Snow on the ABC sitcom Three's Company, she also had a noted starring role on the sitcom Step by Step as Carol Foster Lambert. She later capitalized on her acting career by also establishing herself as an author of a series of self-help books. She has released two autobiographies, two self-help books, four diet books, and a book about hormone replacement therapy. She currently features items of her design on the Home Shopping Network.